Cory Spangenberg has agreed to a one-year deal with the Brewers. He'll receive $1.2M if in majors or $250K if in minors. 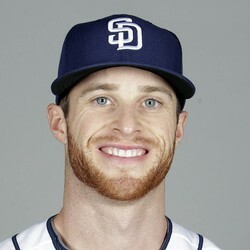 Spangenberg slashed .235/.298/.362 with seven homers through 116 games played with the Padres in 2018. He's expected to be used as a utility player for the NL Central champs as he has proven he can play many positions. A change of scenery towards a very good NL team may help.